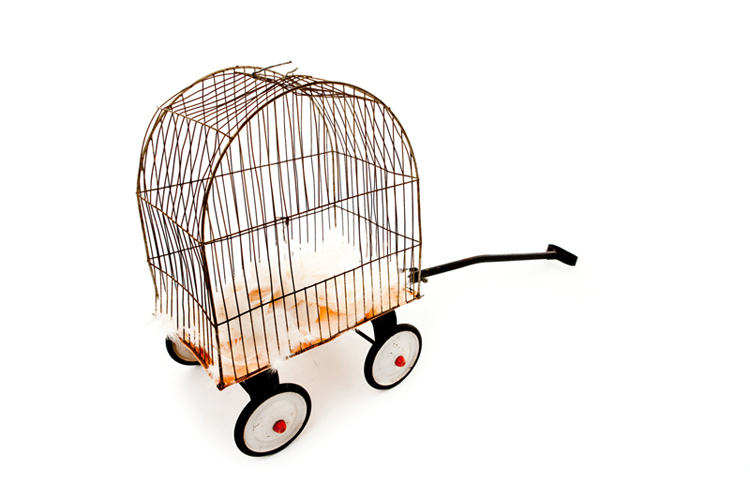 To create this piece, I took apart a child’s wagon and topped it with a bird cage — the bottom of which is lined with copper. I then filled it with feathers. The door to the cage is open; but a ‘cage’ (captivity) can also be self-imposed. The handle is free for pulling by those who wish to activate the Reliquary.